Here's how to find a good book store location, pay a fair price, find suppliers, and tweak those final details before you own your own bookshop in South Africa. You want to be a bookseller, but you don't know where - or even if you should - start. Selling books is a profession that few people have a calling for, and even fewer can claim to have made a success of this business endeavour. But the tide is turning, and the book market is now ripe for the picking. No fewer than 10.5 million books were sold in South Africa in 2015, Books Live claims. For a country with a population of 60 million +, that may not seem that much - but there is potential in this niche industry. 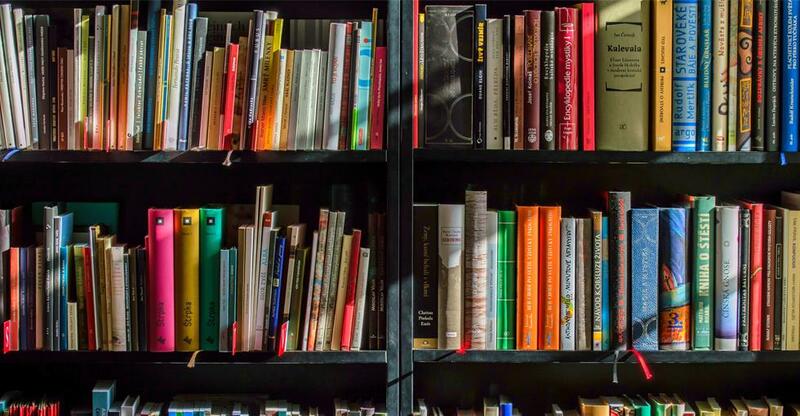 Reading is the fifth most popular leisure activity in South Africa, accounting for only 6% of how adults spend their spare time, according to Africa Check . The most popular leisure activities are listening to the radio, watching TV, and shopping. So, any bookseller who can couple reading with other forms of leisure has every chance of succeeding. That's not to say that you need to reach out to millions of people to stay afloat; there's no shortage of avid readers in South Africa. In fact, 5.3 million adults in South Africa think of themselves as "committed printed book readers" . Book selling isn't so much about the books themselves, but about the book buying experience. Niche enterprises specialising in a fantastic book-buying experience, rather than the books themselves, are more likely to thrive. Love Books , for instance, is a book store known for its face-to-face service, its free book launches, its incentivized storytelling sessions, as well as the owner's ability to cater to her repeat customers. Also, e-books are growing in popularity in South Africa, according to HowWeMadeitinAfrica . This is a good reason to maintain an online shop as well as offer as many titles for sale in digital format as possible, in the hope that this would eventually attract your online customers to your book store. Second-hand book sellers like Doron Locketz say people still want their children's books to be physical books. And a physical book for a child can still act as a sensory stimulant - i.e touch & feel books - which an e-book cannot provide. Second-hand book stores are also popular because they can offer hard-to-find titles. They don't make bricks-and-mortar book stores like they used to. For many, books aren't the focus of their trade anymore; they're secondary products. Today, book stores are coffee shops, subscription-based shops, or special market booksellers. Suppliers aren't what they used to be, either. Of the 10.5 million copies sold yearly, 2.5 million are adult fiction, according to Nielsen BookScan . The downside is that very few copies of books written by native South Africans ever sell, BooksLive claim. This means that booksellers in South Africa source their adult fiction mostly from international publishers, wholesalers, and retailers. With self-publishing and print-on-demand becoming more popular, your list of suppliers will be eclectic. You'll be dealing more with authors and retailers, buying directly from them, and less with publishing houses or wholesalers. It's also a good idea to attend trade shows before you set up shop, so that you meet your suppliers face-to-face and build your own network. So, what makes for a great location? The best independent bookstores in South Africa have got that covered. Their shops have tourist appeal, they're in high-traffic areas that are relatively quiet, and they all come with a bit of history. To follow in their footsteps, you'll need to scan the coast for university cities and arts hubs. Then narrow it down to places where there's little or no competition. Zoom in and look up rental costs and the general demographics of each area. Bear in mind that selling in shopping centres drives up your costs, so you'll need to charge more. When it comes to the cost of buying a book store , established businesses can demand upwards of R200,000, while bespoke used-book shops can cost as little as R30,000. When you're browsing rental properties, remember that nearly half of your earnings can go towards covering the rent. As with any commercially rented property, you can expect to spend from R200 to R500 per square meter per month, depending on location. According to the SA Book Council, the latest Cost of Book Study shows that booksellers add a markup of about 30% for educational books and 45% for trade books. The high mark-up tries to offset the costs associated with selling books. More than 40% of overhead costs are due to rent, and just over a third go into salaries. As a trade seller, you can expect a 47% discount from publishers, on average, and you can sell at the recommended retail price. You can also enjoy discounts of up to 70% on imported trade books. But that doesn't mean this money goes into your pocket. Staff are what makes personal service 'personal', so finding the right people is imperative. Staff turnover is generally low in the bookselling industry. But good employees are irreplaceable. It's important to invest in good software that enables you to manage your transactions, your invoices, your inventory, and your pricing. Some software tools anticipate low stock, send you alerts, and even place orders on your behalf. Needless to say, they don't come cheap. No two bookshops are alike, and your brand is something you want people to see, experience and remember. From the moment customers step in, taking in that unique smell of ink on paper, their sense of time and space needs to shift a bit so they can enjoy everything your shop can offer. Book displays and seating areas are expensive, but there are workarounds. Consider buying furniture from former book stores, repurposing the furniture you have, and looking for local artisans to build or prettify your book displays, seating and reading areas.